Emerald Island Resort in Florida is one of the most popular vacation home resorts in Orlando - rentals include 2 and 3 bedroom town houses and 3, 4, 5, 6 and 7 bedroom villa style pool homes, so it's almost every guest's favorite place to stay - choosing Emerald Island when returning to Walt Disney World® Resort in Orlando. The Emerald Island resort surrounds an exclusive, fully featured resort clubhouse with many amenities for guests to enjoy. There's also a secondary resort pool, spa and cabana for the exclusive use of guests staying in the town homes (those guests can use the main clubhouse if they wish). As you enter you immediately find yourself in a luscious sub-tropical resort, with driveway that stretches toward a manned security gate house and through to the stunning entrance rotunda with a Dolphin Fountain at the center, sweeping around to the Emerald Island resort clubhouse and facilities. The club house has a reception area which sells newspapers and sundries and provides information for guests staying at the resort. There's a guest lounge where you can meet other families visiting Orlando and staying in Emerald Island. The kids can enjoy themselves in the games room, or on the video arcade games provided, and you can "keep in touch" while on vacation with the IT center that provides high-speed internet access for guests. Choose to relax under the Florida sun at the Emerald Island resort pool with gazebos and a Tiki Bar, luscious landscaping and comfortable deck loungers. Or sit in the bubbling community hot-tub and chat with other guests staying at Emerald Island vacation homes. Emerald Island Resort has "sister" resorts in Kissimmee and Davenport. Even though VillaDirect has the largest selection of vacation homes in Emerald Island, we are regularly fully booked. If you would like smaller or larger homes for your next family vacation, be sure to look at either the two sister resorts of Terra Verde resort or Solana resort while on the VillaDirect.com web site. 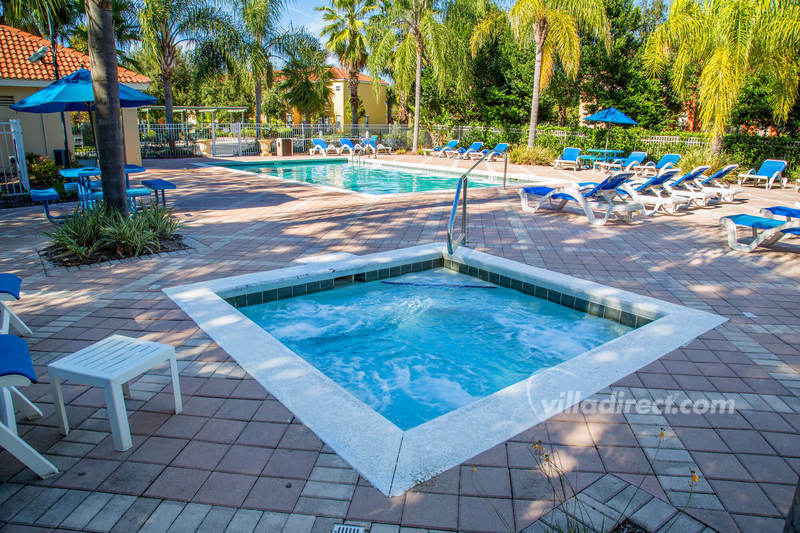 If you want even more choice, take a look at Windsor Palms resort, Windsor Hills resort, Vista Cay resort or Paradise Palms resort as alternatives, all located in Kissimmee, close to Walt Disney World® Resort and all of the Orlando attractions.